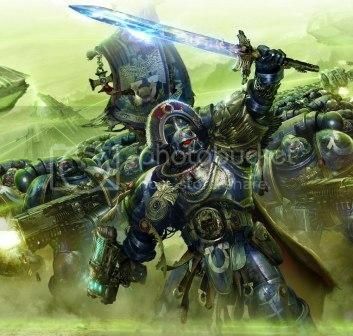 Imperial Armour - 40k approved but must have actual model. The last time I played 40K was Twilight last year, so I may as well use this event as my yearly 40K game play. Add me in. Hopefully they don't release a new Ork Codex between now and then or I won't have any valid codex left for any of my armies). Crap. I guess it'll be a torrent copy I look at then. I can't justify spending more than an Malifaux crew or X-Wing fleet on a book I'll use once a year. Any rules against using older Codex? After all there is no such thing as 'legal tournament' rules for 40K. So I'm guessing this will now be my first 6.5 or 7th edition game of 40K. Assuming number pick up, Twilight will be a 7th ed tournament. Mmmmm, now do I buy the rules or not? I don't plan on buying the book either. Can we get by in this tourney without it? Well I gave in and bought the new book and a fair bit has changed. We can treat it as a night of 7th ed practice. Check out u-tube for stuff on rule changes. Myself and a mate of mine are interested. May have a couple more from my group too. So I don't need the book to attend, as long as I know the 7E rules? Why not? Put me down please mate. And should have a new Ork book. Ah ####, yeah 7hed...hm so I really have to get those rules and read them . Might as well see how bad Nids are, here we go ZERG away! Simon are dataslates allowed? If not can the be allowed for Nids?